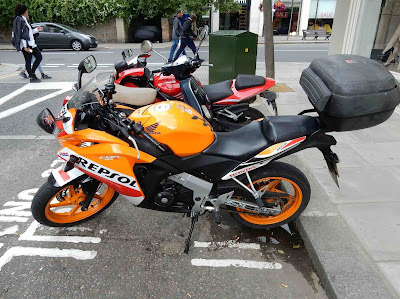 Price gas high enough and people will turn to two wheels. Guerrilla bikes are a way of life in Europe. 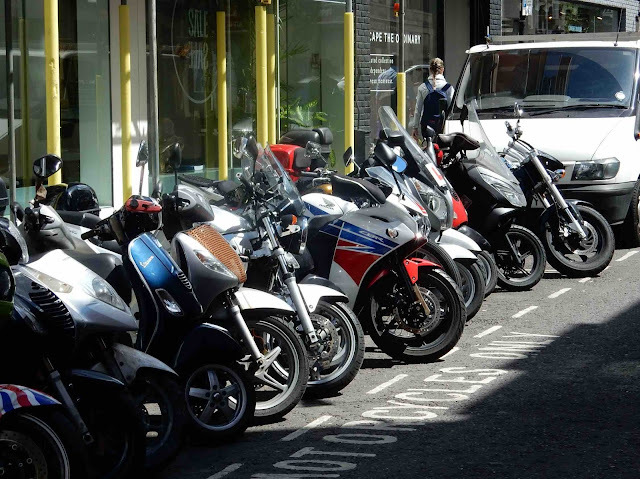 All over London, rows of high-speed, high mileage machines made this visiting New Yorker’s mouth water. 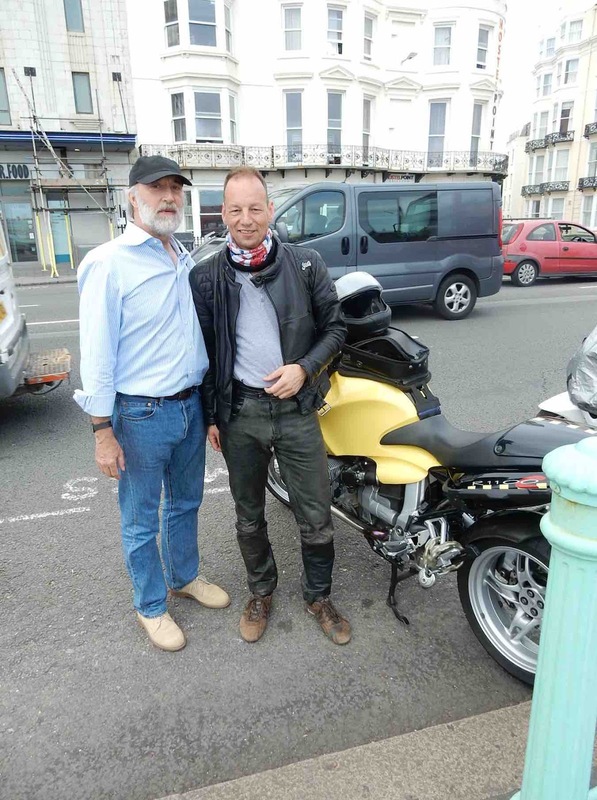 I met this guy in Brighton, up from Germany on a BMW R1100RS. But where bikes go, so can the occasional mishap. 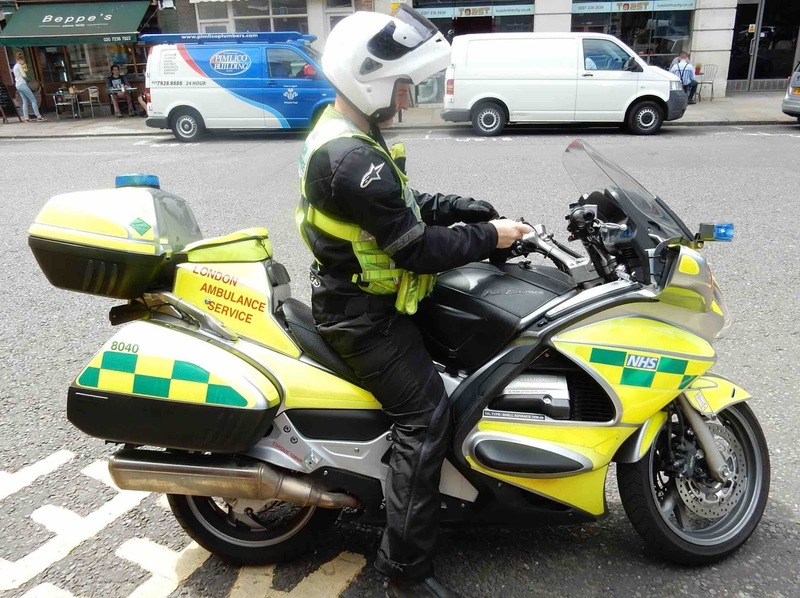 And what better way for help to arrive quickly than on a motorcycle itself? 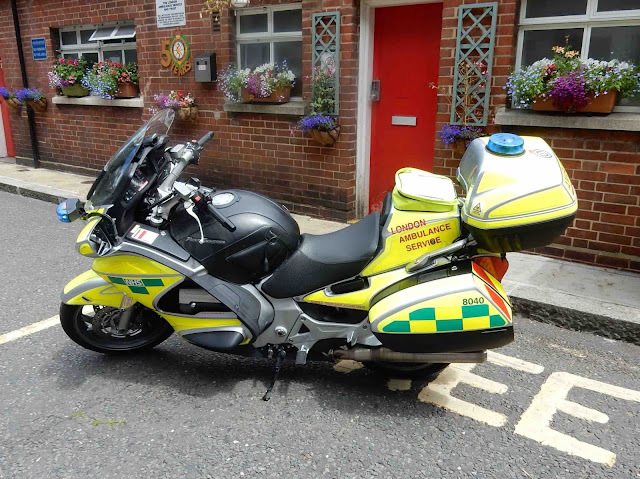 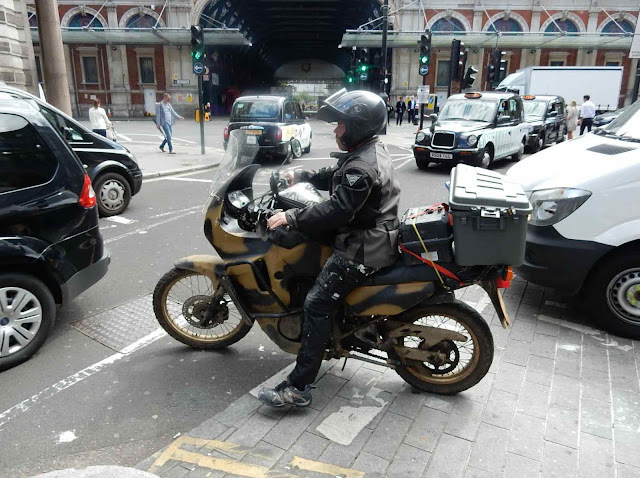 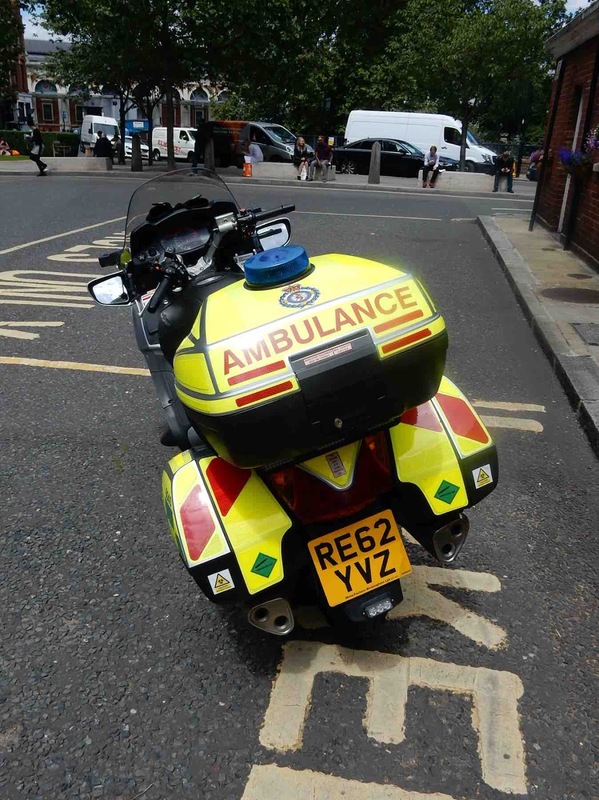 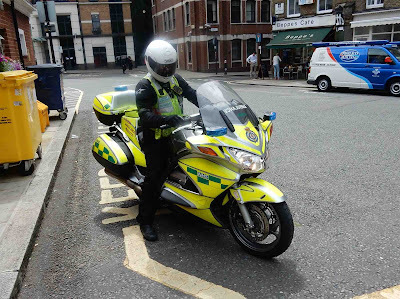 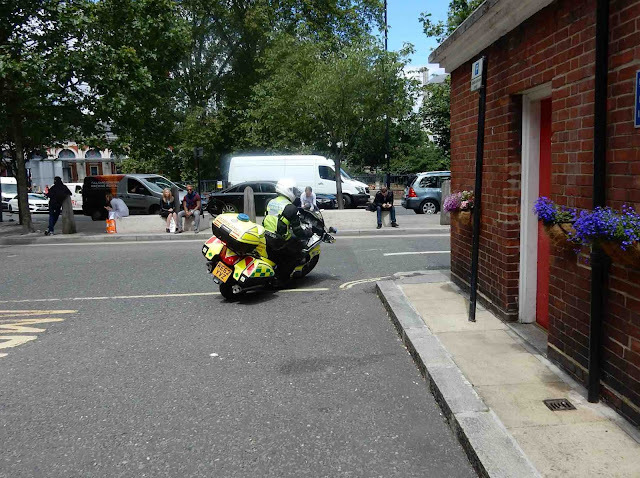 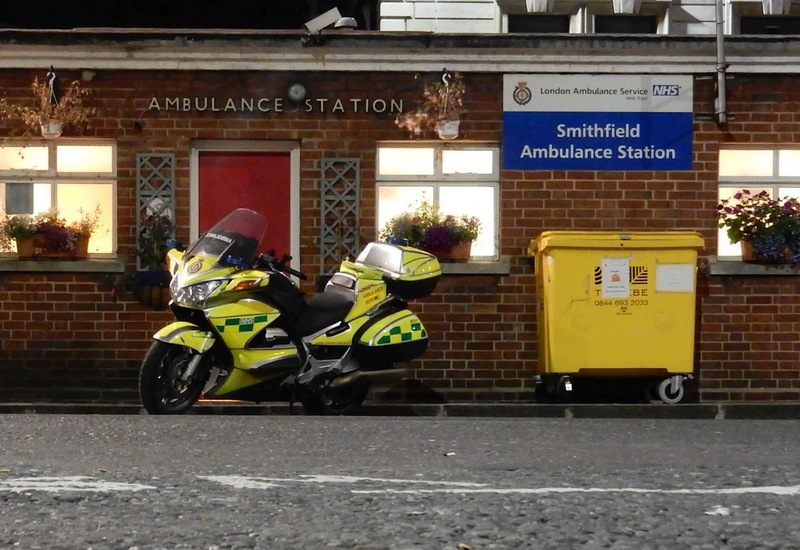 The Smithfield Ambulance Station in London is just such a service, using repurposed Honda ST-1300’s as EMT vehicles. 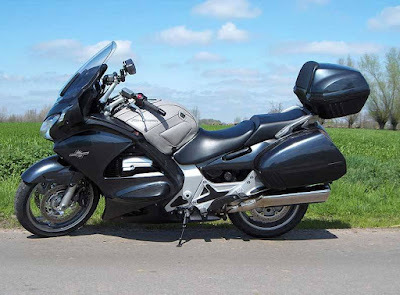 Marketed in Europe as the “Pan European”, this Honda is quiet and powerfully smooth and bulletproof reliable, and it carries a load of emergency equipment with ease. Take a fall and skin your knee? Smithfield will come to get you.